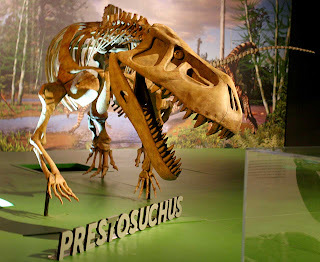 Prestosuchus cast skeleton shown in this image is a rauisuchian archosaur that is related to crocodiles. It existed in the Late Triassic in the area now known as Brazil, South America. The creature was named by Friedrick von Huene(1875-1969) in 1938. He named it in honor of Brazilian paleontologist Vicentino Prestes de Almeida (1900-1954). This cast skeleton was part of the Ultimate Dinosaurs: Giants from Gondwana exhibit at the Museum of Natural History and Science in Cincinnati, Ohio. They were photographed in August 2013. 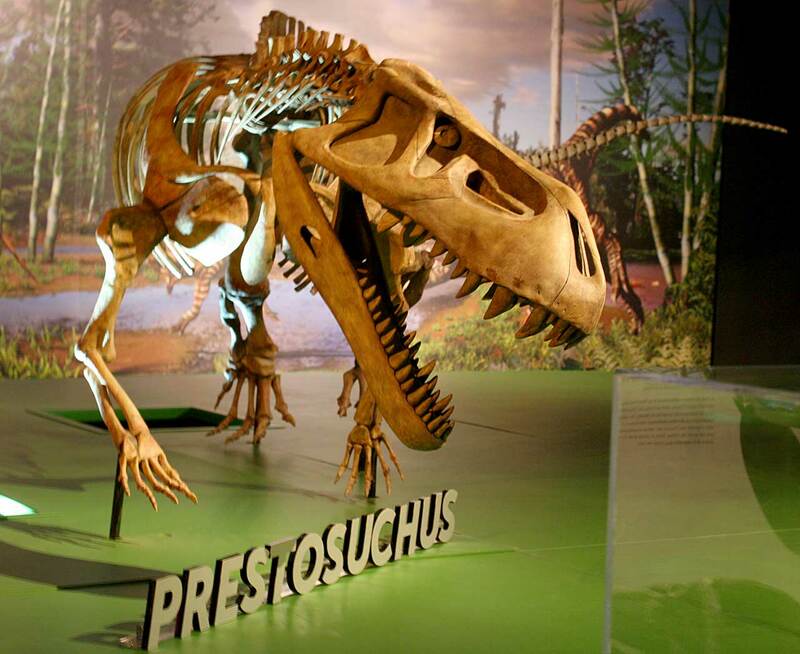 The dinosaur exhibit was created by the Royal Ontario Museum of Toronto Canada.